Another great month! We’re really starting to feel like the end of the trip is coming and we’re feeling more and more rushed to get through everything that we wanted to do. It’s funny how you can plan to be traveling for almost a year, but still end up feeling like you don’t have enough time =) However, we did take time this month to meet up with Della’s parents again a couple of times. They decided to have a big trip for themselves and as we write this update, they’ve been out for about 5 weeks and plan about 2 more. We haven’t stayed together the whole time, but have sort of met up and parted as our schedules allowed. We saw a lot of great things and explored a lot of new places this month. Our only complaint is that it is hot season here in SE Asia and we are REALLY hot all the time. We only have about 2 more weeks in this part of the world before we fly again to explore different parts of Asia. We traveled by 3 planes this month. We traveled by 2 boats this month. We traveled 5 long distance buses/minibuses. We traveled by 2 trains this month. 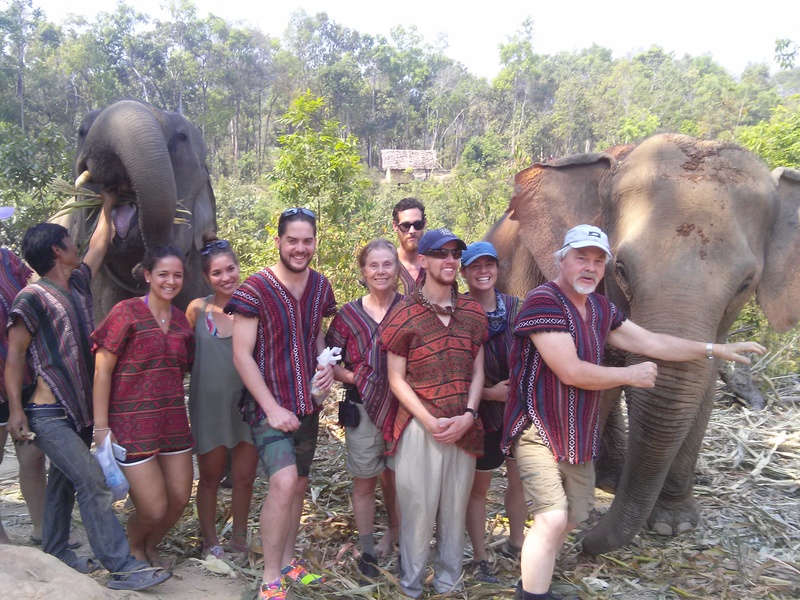 ~ We had an amazing time interacting with elephants at the Elephant Jungle Sanctuary outside of Chiang Mai! We had a bit of a hard time coming up with this list, because for the first time we had slightly different opinions of what to choose! 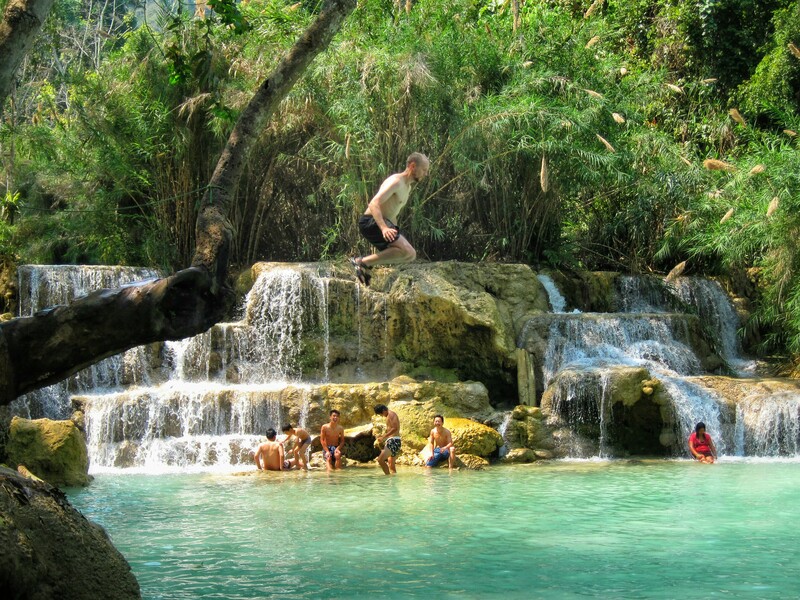 ~ At Kuang Si Waterfalls outside of Luang Prabang, we took in some amazing scenery, got to watch some cute moon bears play, and took a refreshing swim. 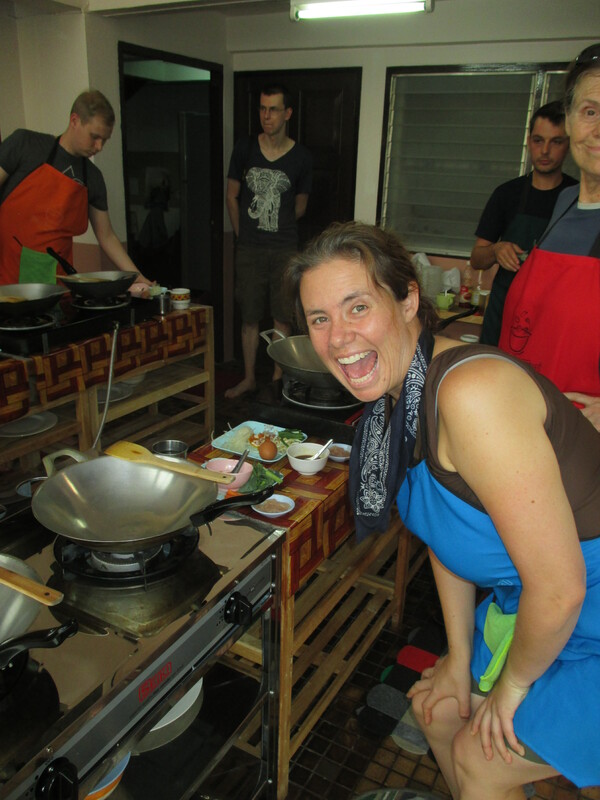 ~ Also in Chiang Mai, we took an excellent cooking class in which we learned all about how to each the different yummy Thai dishes that we love! 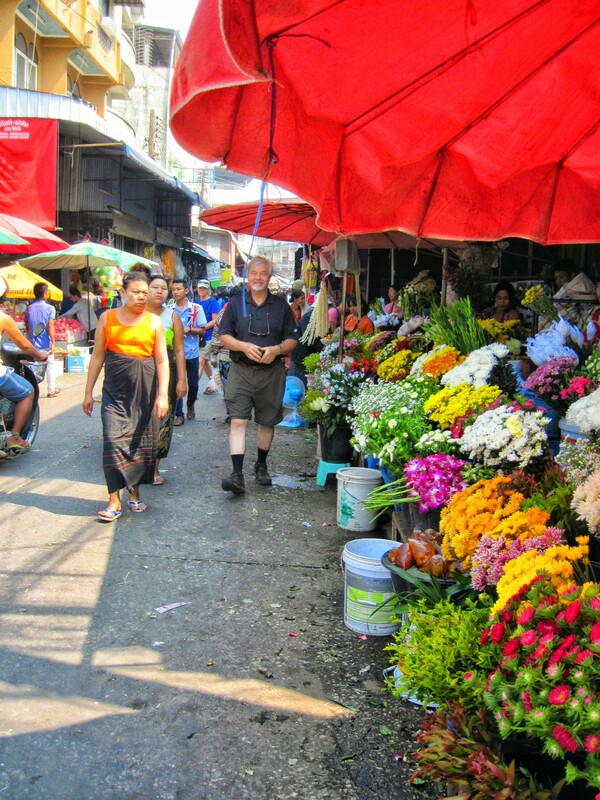 ~ In Mae Sot, we meandered through a lively market which brought back great memories of our time in Myanmar. 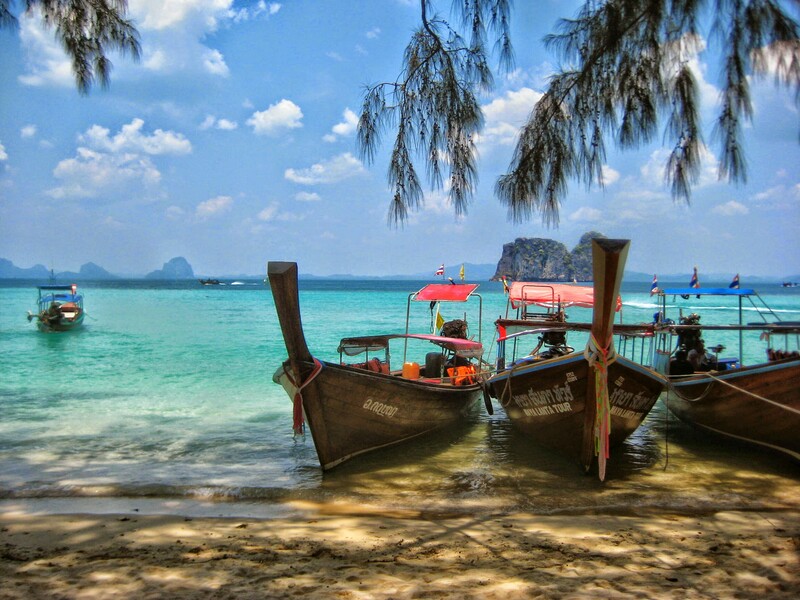 ~ We struggled for a long time to choose a Thai beach to go to. We had seen some really neat pictures of white sand beaches with large limestone karsts in the distance and longtail boats near the shoreline, and hoped that we could find a scene like that. The island we chose, Ko Lanta, doesn’t have those characteristics, which was a bit disappointing… but some nearby islands do! The last stop of our snorkeling tour was at Ko Ngai, and when we pulled up to the white sand beach we realized we had found just what we were looking for! The rating system is for Della’s mom who is refusing to look at Goodreads. It is 1 to 5, 5 being the highest. You guys remind us if Jefferson and his minute notes! I love the elephant photos! They look so happy! I’ve read Pride and Prejudice. Monthly recaps are still my favorite! (: I started panicking with you on running out of time–then I realized you still have more time than I have ever been out traveling before! Make the best of it.